A wonderful New Orleans Garden District bed & breakfast, The Grand Victorian is located just minutes from the French Quarter. 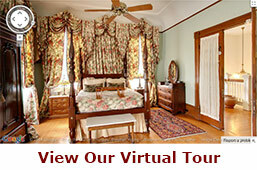 It was designed and built in 1893 by famed New Orleans architect Thomas Sully. Nestled under the shady oaks of majestic St. Charles Avenue, the convenient location of our bed and breakfast in New Orleans is one of its greatest attributes. Lovingly restored to its former glory and decorated with period furnishings, the bed and breakfast in New Orleans welcomes you to a majestic past within the comfort and convenience of a modern New Orleans Garden District bed and breakfast establishment…. 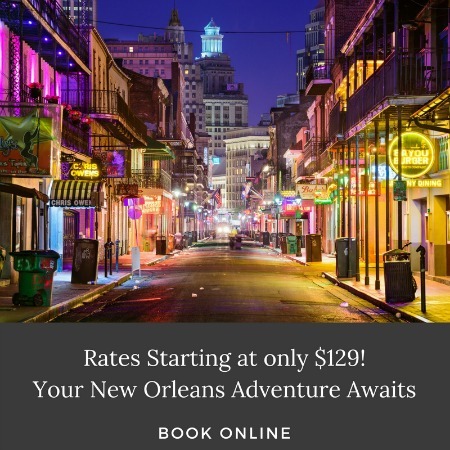 Don’t forget to view our New Orleans vacation packages. Book a getaway to remember! 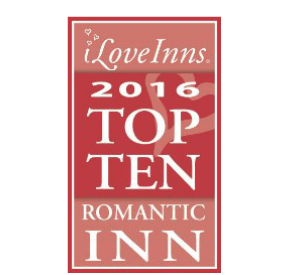 Voted "Favorite Bed & Breakfast" by New Orleans Magazine Readers! 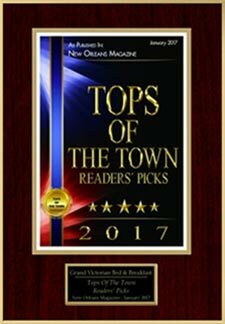 Thank you to our guests and readers of New Orleans Magazine for voting the Grand Victorian Bed & Breakfast as your favorite place to stay in New Orleans! 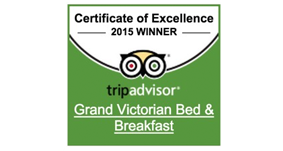 If you have not stayed with us yet, book your stay today and find out what everyone is talking about! Gift Certificates are available starting at $100 and in increasing increments of $50. Allow us to plan your special gift by calling (800) 977-0008 or use our online service. Purchase Online.